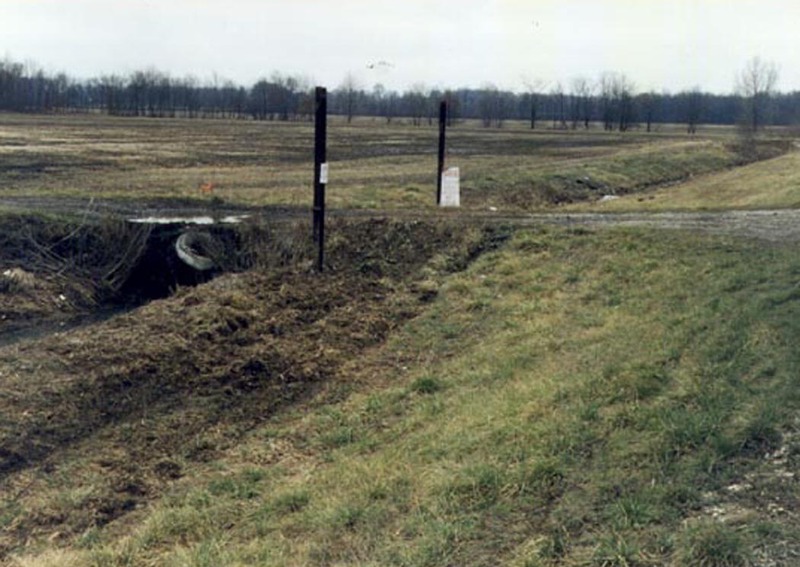 Marc was found lying face down and motionless in a damp field on January 16, 1995. The air was thick with fog and the temperature sunk below freezing. 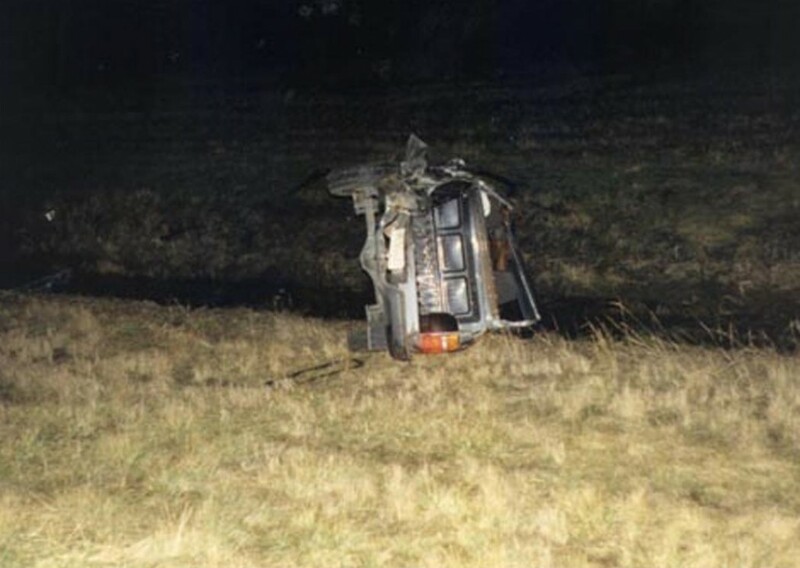 It was a miracle that a truck driver spotted Marc’s overturned vehicle on that dark morning. Emergency responders arrived at the scene of the accident. The technicians called for backup and Marc was transported to the hospital. Photographs were taken, reports were written and the family was notified. Gathered in the critical care unit, Marc’s family didn’t think he’d make it through the night. The doctors were not optimistic and the wait seemed eternal. Was Marc Sherman’s life over at 24? 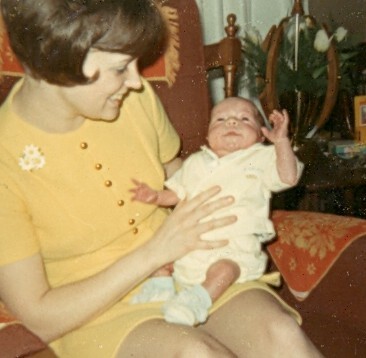 Marc made a humble entrance into the world on March 11, 1970. He was born to an unwed mother and put up for adoption at birth. Marc’s adoptive parents invested all their love and energy into raising their sweet boy who had a face like a cherub. 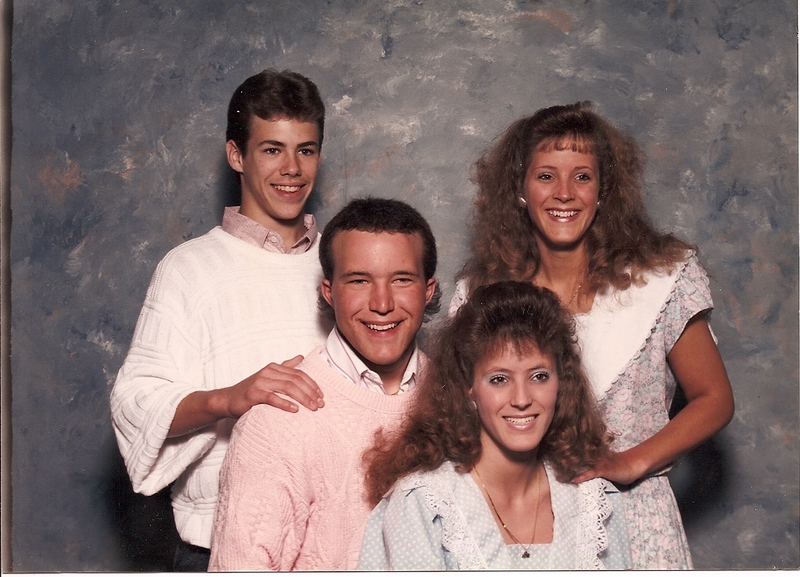 Marc was the oldest of four Sherman children. The Sherman family lived in a comfortable home in the Midwest town of Greenwood, Indiana. The Sherman children were encouraged to play sports and were taught the values of hard work and team spirit. After graduating high school in 1988, Marc was looking for some independence and visited the Lutheran church behind his parent’s house. Like many his age, Marc wanted to know the answers surrounding his existence. He made some new friends at the church but nothing satisfied Marc’s search for spiritual substance. Marc spent the next few years bouncing back and forth between his college classes and working labor jobs. Things took a bad turn when a girlfriend introduced Marc to illegal drugs. Marc started using a variety of drugs and developed harmful habits. He started playing pool at local bars, drinking and finding ways to get high. Marc pulled away from his family. He ran from his faith, his friends and his childhood values. His grades were failing and Marc needed money to support his growing drug habits. He started shoplifting and selling merchandise with his new circle of friends. Marc’s family noticed a drastic change in his behavior and worried about his future. Marc was sent to drug rehabilitation and served a number of community service hours for his involvement with crime. Marc felt lost and remembers two attempts he made to end his life. 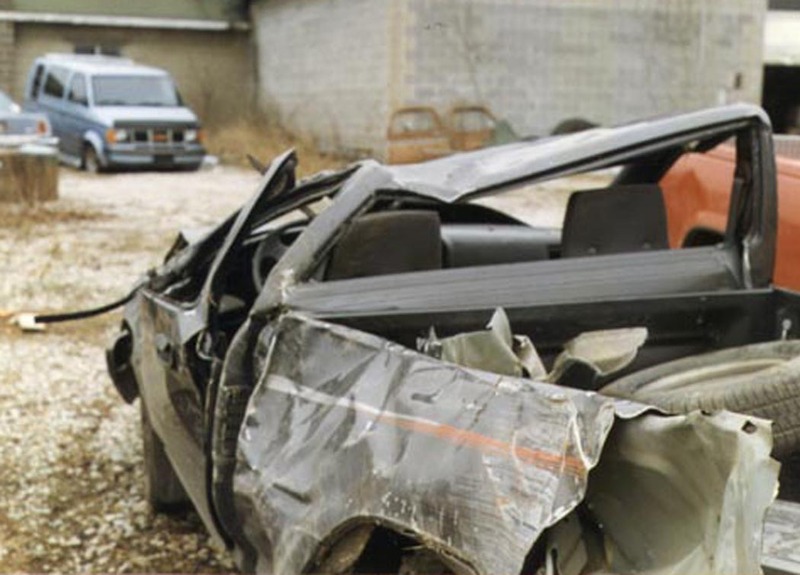 The week before Marc’s auto accident, he had worked a lot of overtime and was looking forward to some days off. Marc decided to visit some old fraternity brothers and drove down to their college to see them. It was a Friday night and things got wild. Marc was excited about the money he earned and the drugs he purchased. He partied hard and didn’t sleep for two days. Marc knew he had to be back at work on Monday and thought he should nap before driving home. At midnight on Sunday, Marc went to sleep. After three hours, he woke up and started back home. “I just wanted to get home and shower before going to work. I was only on the road for twenty minutes when I fell asleep driving,” Marc explained. According to the police reports, Marc was headed northbound when he fell asleep. His truck swerved over the center line and into the southbound lane. Marc must have been going pretty fast when he went off the west side of the road, traveled through a grassy area and ramped his pickup truck off a drainage ditch embankment. Marc’s truck flew over a hundred feet before striking the ground and flipping end over end. His truck came to rest on its side in a ditch of water. All the windows were gone, the roof of the truck was caved in and Marc was found forty feet from the vehicle. Emergency responders don’t know if Marc was thrown from the truck or crawled out a window. Marc did not have a seatbelt on. The accident happened around 3am but Marc was not found until after 6am. Doctors say the cold temperatures saved Marc’s life because it slowed the bleeding. When Marc was transported to the hospital, he had open wounds all over his body. Marc suffered two broken bones and a double concussion. The broken bones were vertebrae in his neck. Marc’s spine was pinched and he was paralyzed from the shoulders down. Marc was in serious critical condition and barely survived the first few days. After doing surgery on his spine, Marc was put into a drug-induced coma for nearly 3 months. “I woke up on March 11, 1995. People were surrounding my bed and singing ‘Happy Birthday.’ When I became aware of my surroundings, I realized my whole body was paralyzed. All of my normal functions were gone. I couldn’t speak and had a tube coming out of my neck. There was a machine doing my breathing for me. 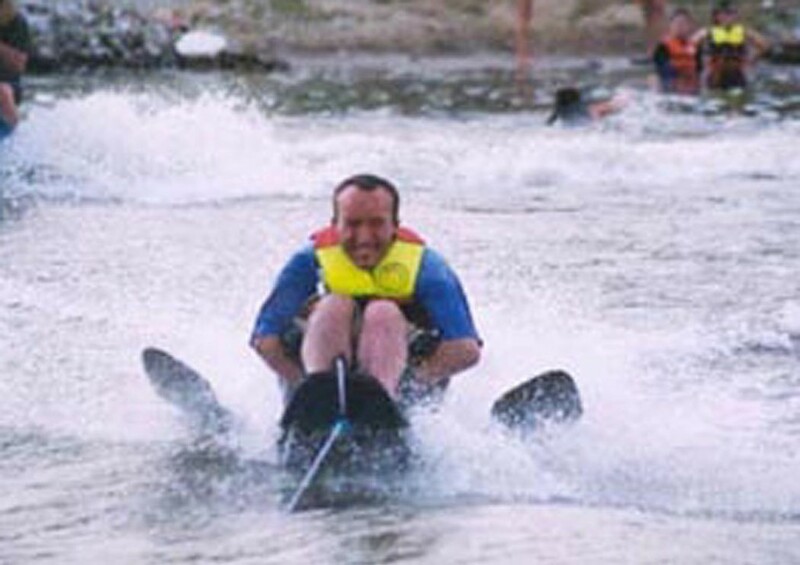 The swelling on my spinal cord made it difficult to fully diagnose my condition,” says Marc. After several months of therapy, Marc was taken off the breathing ventilator. It was a lot of hard work but Marc had strengthened his lungs and gained limited movement in his arms. Marc had to be fed initially. Marc hated being fed and learned to lift a special utensil up to his mouth that was strapped to his hand. His body functioned like a five month old baby. 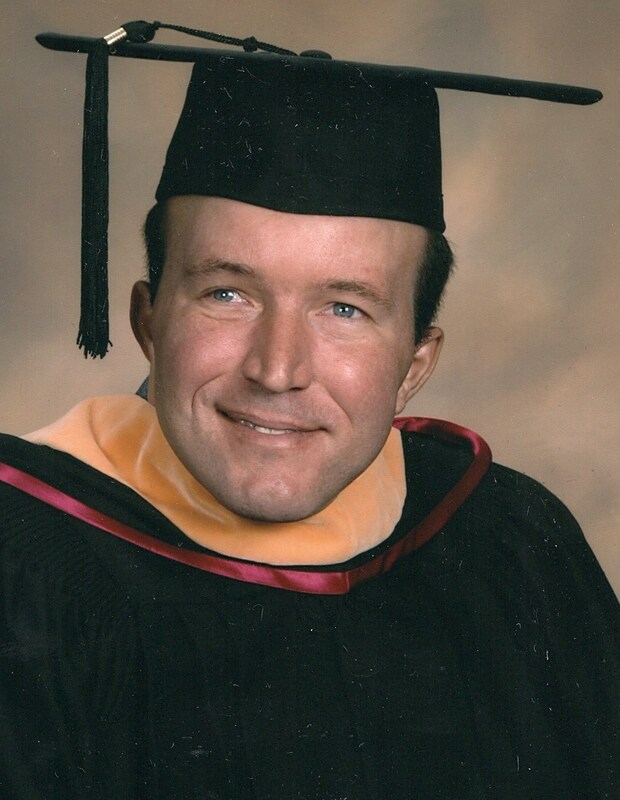 Marc’s parents were instrumental in his recovery process. They visited him daily and pushed Marc forward. Other family members visited weekly and encouraged Marc to hang tough! 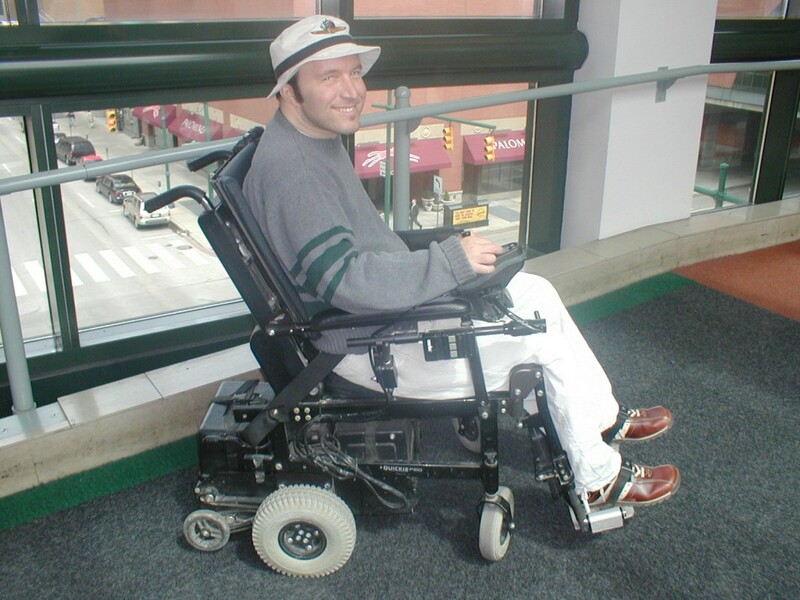 When Marc was released from the rehabilitation hospital, he was diagnosed with C5/C6 quadriplegia. Marc lost the ability to use the fine motor skills in his hands, lost the feeling from his armpits down to his toes and lost the strength in his body. Marc is now dependant on daily nursing assistance to get up, bathed, dressed and to go to the bathroom. He opted for a few surgeries that helped him gain a little independence. Marc had to be trained to use a power wheelchair for mobility. His parents took care of all the details involved with insurance and finances and Marc has expressed his gratitude for his family’s involvement in his recovery. 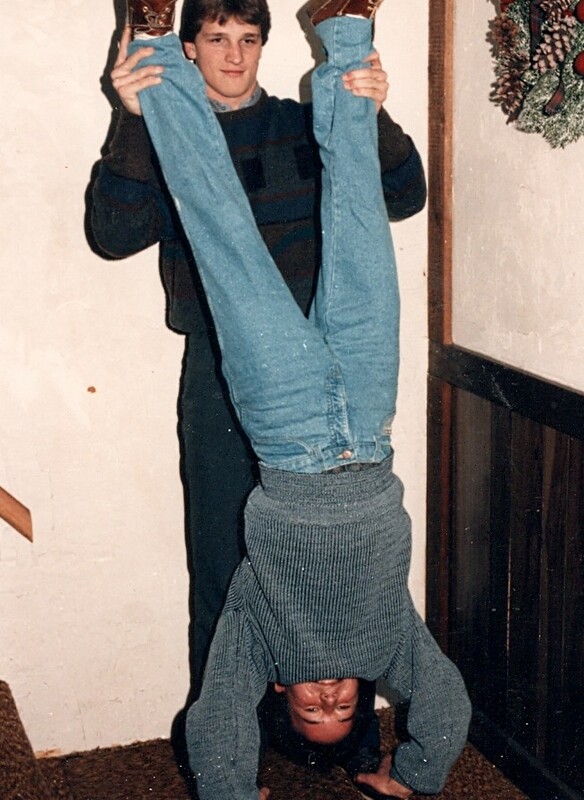 Marc returned to his parent’s house in the Fall of 1995. He made some new friends and was invited to a Nazarene church service. The church was having a revival and the congregation seemed interested in following God. Marc felt loved, accepted and wanted. He was impressed by the sincerity of those who invited Marc to come back. Marc started listening to the words of the hymns that were sung and the messages preached. Eventually, Marc invited Jesus Christ to be the Lord of his life. Marc prayed to receive forgiveness for his past mistakes and sins. Marc traded his religious practices for a working relationship with Jesus Christ. Since Marc’s accident, He has been able to mend the relationship with his parents. Marc also learned to appreciate the values taught to him as a child. Marc is happy to be active again and enjoy life. Marc has enjoyed spending Spring Break with his family at the beach, visiting antique shops and trying new foods. Marc’s been involved with a modified sports program. He practiced with a wheelchair rugby team, went water skiing a few times, played ice hockey, shot a bow and arrow, went fishing, rode in a hot air balloon, spent the night camping in a tent and talked a few carnival workers into strapping him into the seats of some exciting rides. Marc’s life is full. He stays busy and works to make changes for other people with physical needs. With the help of the Indiana Vocational Rehabilitation program, Marc returned to college and graduated with a Bachelor’s degree in Social Work from the Indiana University School of Social Work in 2006. Marc is currently employed as an Independent Living Coordinator and supervises a team of workers at a non-profit organization. Marc enjoys giving speeches at schools, churches and support groups to share his experiences in life. To get around town, Marc had to depend on the public transportation system for several years. 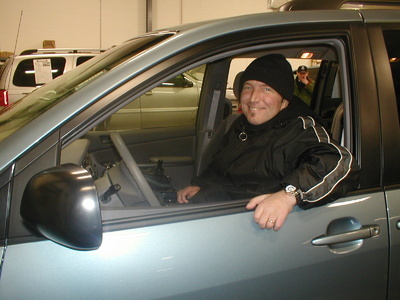 A few years ago, Marc trained to drive again using assistive technology and hand controls. He purchased a van and is back on the roads! Marc is constantly looking out for ways to help others. Once again, Marc is serving community service. This time, Marc is a volunteer! Marc sits on a few boards for organizations that regulate the needs of the disabled. In 2010, Marc flew to Washington D.C. to attend a conference that addresses the transit needs of the disabled in the United States. Traveling to Washington D.C. was Marc’s first experience on a large airplane. Traveling can be tricky for the disabled and takes a lot of planning, preparation and dependence on others for help. Marc had to hire an attendant to travel with him. As Marc moves forward with his family and career, he gives all the credit to God for being his main influence in life. Marc is excited about his relationship with God and wants others to share in his joy. 8 For you were once darkness, but now you are light in the Lord. Live as children of light 9 for the fruit of the light consists in all goodness, righteousness and truth 10 and find out what pleases the Lord. 11 Have nothing to do with the fruitless deeds of darkness, but rather expose them. 12 For it is shameful even to mention what the disobedient do in secret. 13 But everything exposed by the light becomes visible, 14 for it is light that makes everything visible. This is why it is said: “Wake up, O sleeper, rise from the dead, and Christ will shine on you.” 15 Be very careful, then, how you live—not as unwise but as wise, 16 making the most of every opportunity, because the days are evil. 17 Therefore do not be foolish, but understand what the Lord’s will is. 18 Do not get drunk on wine, which leads to debauchery. Instead, be filled with the Spirit. 19 Speak to one another with psalms, hymns and spiritual songs. Sing and make music in your heart to the Lord, 20 always giving thanks to God the Father for everything, in the name of our Lord Jesus Christ. 21 Submit to one another out of reverence for Christ.